I love taking pictures of my family and kids. I am always snapping pictures of my kids playing at home, at their sporting events, school activities, and just our everyday life. It is so easy to take pictures but it can be hard to get those pictures into actual printed photos! I have definitely fallen victim to just letting photos sit on my phone when I could be displaying them or sharing them with family. 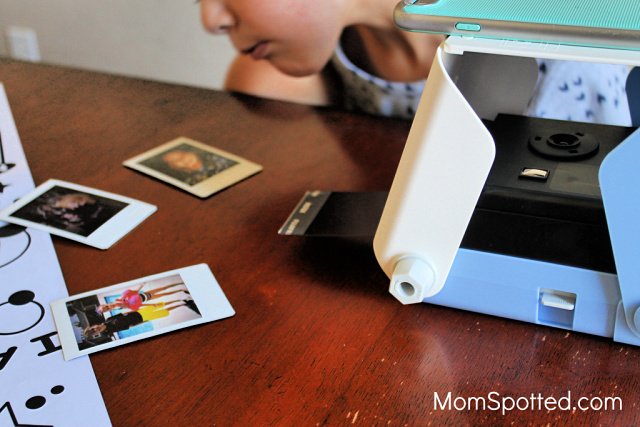 KiiPix from Tomy is a brand new easy to use instant film printer. It doesn’t require any batteries or apps, and in just a few minutes you can have pictures from your phone in your hand. 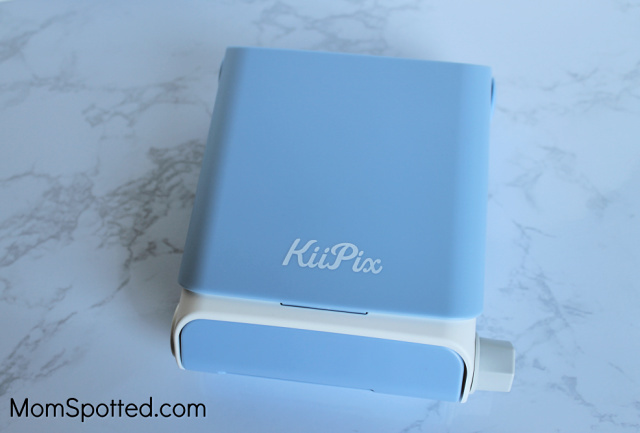 The KiiPix is so compact and is so easy to take anywhere. The KiiPix would be so fun for teenagers, or college students to take with them to school or anywhere they go. I love it for sending pictures to grandparents and for my kid’s school projects. My daughter had an “All About Me” poster to make for school. KiiPix saved the day as it quickly printed out photos for us to stick onto her poster. The KiiPix uses Instax Mini Film and was so easy to set up. It really just takes only a few steps and you are ready to get printing photos. First, you open up the KiiPix and place the white frame on top. It has grippers on the side so your phone will not slide around when you place your phone on top. There is a mirror to make sure the photo is lined up in the frame before you print the picture. Then you press the shutter button only one time and twist the knob. As you twist, the knob KiiPix pushes out your photo! My kids are obsessed with watching the picture develop as it goes from white to color. A few tips and tricks I learned while using the KiiPix is that you want to choose the brightest pictures you have with the most light. You also want to keep your phone brightness level turned all the way up and shut off your phone’s sleep mode. The KiiPix won’t print professional quality pictures but they are really fun to add to posters, dorms, to hang as decoration, or mail to family. 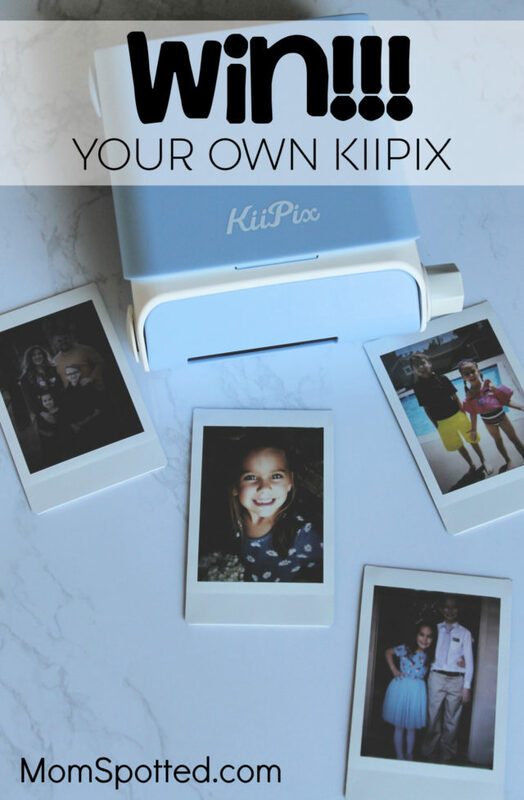 The KiiPix is so versatile and would be such a great gift. It retails for $39.99 and is available for purchase at Tomy, Amazon, or Walmart. 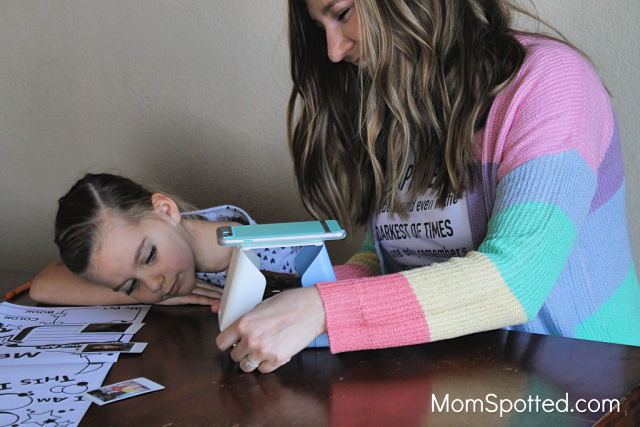 Right now (1) Mom Spotted reader has the opportunity to win (1) KiiPix! Contest ends 10.15.18 at 11:59 pm. For Official Giveaway Rules click here. U.S. Residents only. Wow! This would be so much fun to have with my kids. We would probably all want to use it at the same time. It could end up teaching my kids to share! I would love this for around the house when my kids want photos of them and friends! I would use it lots of places. It would be great for the ballpark. I am constantly taking photos of my grandsons playing baseball. I would love to print some. 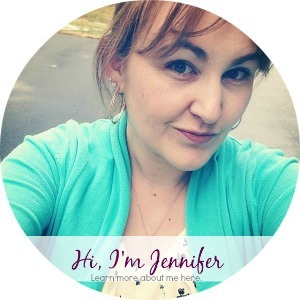 I would use it at my daughter’s dance competitions to share photos with the other moms! We would use this at Scouts to share with all the other parents and kids. I think this would be great to use in our preschool/daycare to capture special moments for the parents. I would use it at all our family get together that would be such fun! My son has been wanting to make his own family album and this would be wonderful for him to do so! I’d use it at a birthday party. I love taking photos of my chihuahua playing in the park and this would be awesome to have. I would use at school events. I would use it for outings and get togethers with friends. I’d take this with me when we visit family so I could leave photos for everyone! I’d use it at my kids’ cross country meets. This would be perfect to use for our Girl Scout projects! It would be awesome for a birthday party! I would use it on craft day with the kids. I would give this to my daughter, she’s away at college. Would love her to send me some pics of all the fun she is having! I would use this at my granddaughters soccer game. At home with my daughter and her crazy friends. I’d love to use this while out hiking with my daughter. I go to one particular (OPPD Arboretum) to take lots of photos of the kids. I’d take it there. It’s pretty! I would use it for my sons football games! I would use this for all of our homeschool adventures!! Thanks for the chance! We have family about 3hrs away that we visit every few months. This would be great to take with. We would use this on our family hikes. I would use it at birthday parties. I would take it to my kids’ homes and use it there. I would let my kids take it on their field trips to show mommy when they get home! I would use this at family parties, the kids would have so much fun with this. The adults too! 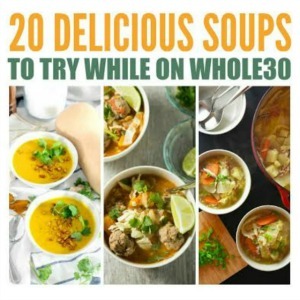 I would love to use this with my Girl Scouts! I would use it at home the most. Lots of photos of my family & pets. I would use this while traveling to see family and sporting occasions with the grandkids. I would use it on our upcoming Disneyland trip! 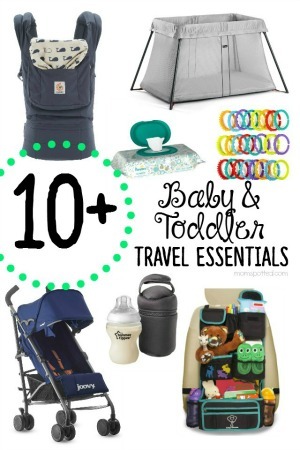 i would use this on our family road trips and vacations. it is super cool. Oh my goodness, what an awesome little device. I would definitely use this at sporting events, dance practice and just at home! I would use it to keep my photos all current at my office. I would give this to my granddaughter who is going on a trip through her school to Washington DC. I would use it everywhere! At home, visiting family and friends, on vacation, and everywhere else! This would be great to use when my daughter needs pictures for projects! I’d take it to the park for pictures. I would use it at home for crafts and gifts. I would use this with my kids at home! 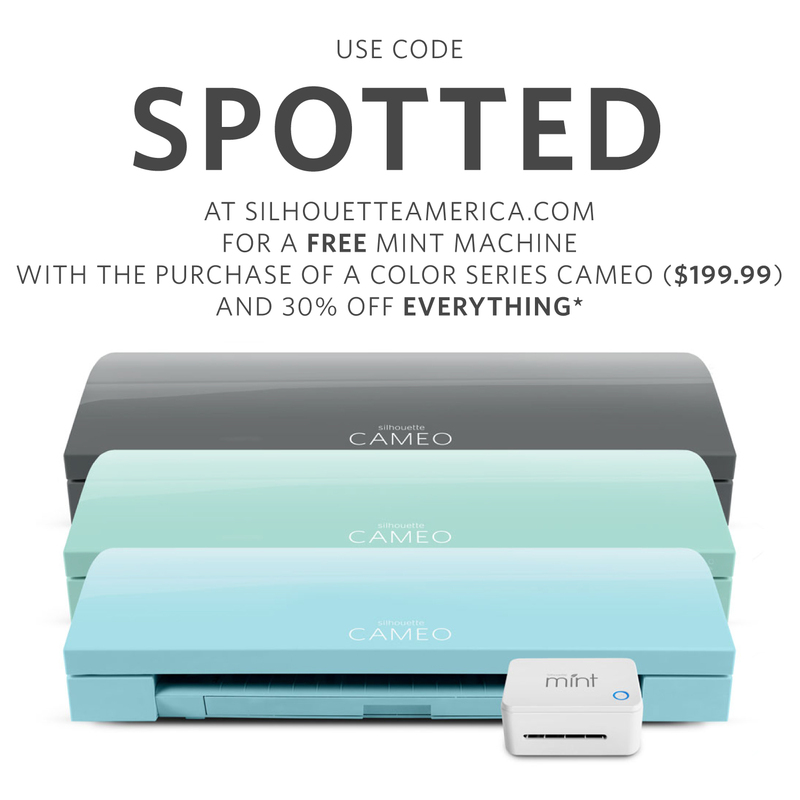 I know my daughter would love ot use it with her friends at sleepovers, too! I would use it for class parties that I am room mom for and boy scouts. I would use this on outings with my family! I would use it when I have a particularly cute pic of the kids. They always do silly things to surprise me. I would use it in my classroom. I would use it all the time… at home, on vacation, events and more. I would use the KiiPix at home with my family creating everything under the sun. I would use for Halloween. Since I have a new baby, I would use this all over the house and everywhere we go to capture special memories. I will use mine at our upcoming family reunion. I’d use this right here at home! So cute! Thanks and God bless. I would use it at school events & dance recitals. Would use at our family events. At home and at family gatherings. I would use this at school functions for the kids. I would use this at my kid’s events. I would use it at home and in my classroom so my students could take pictures when they make their homemade cards. I would use it all the time at home or whenever me and my son go away. I love taking pictures to preserve the memories. I would use it when we go walking in the trails. Especially this time of year with the leaves changing! I would use this on vacation. I would say for holidays and birthdays. 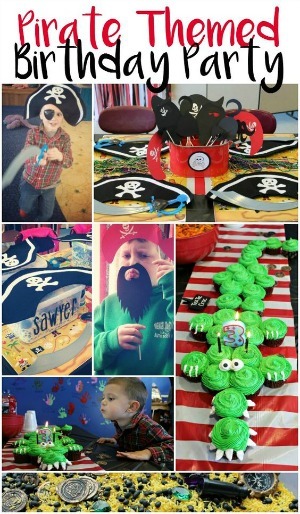 I would use the kiipix at different festivals and events, as well as birthday parties. I would use the Kiipix for all my family outings. I would use it on vacations. I would use it at family parties! I would use it everywhere! I’d love to have this. This would be fun for a party or family get together during the holidays.